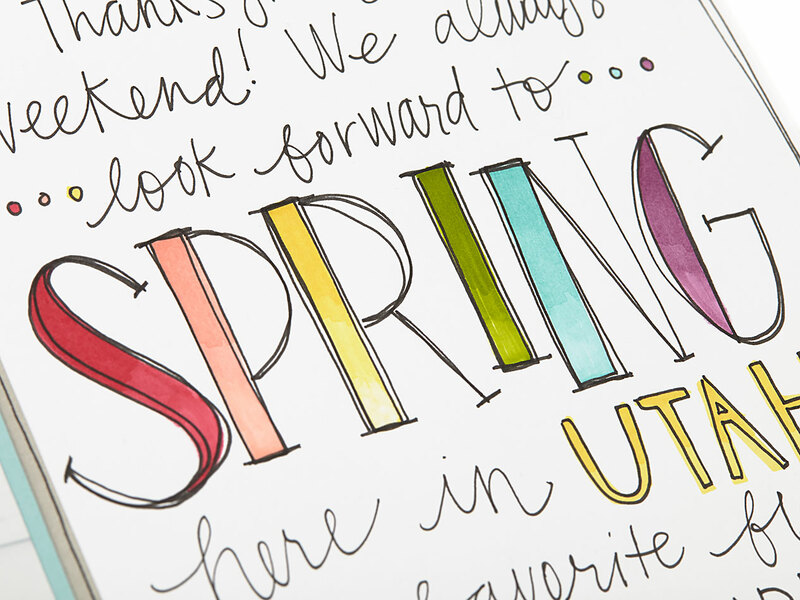 There’s something to be said about the beauty of a handwritten memory. With so much technology readily available, the art of handwriting has faded in today’s instant world. Instead of writing letters and keeping journals, we tend to opt for a quick email or text and a social media update. These communication and storytelling mediums have their purpose, but memory keeping is not always one of them. Is there anything more personal than handwriting? We all have a unique way of writing that, in more ways than one, expresses our personality. The way we dot our i’s and cross our t’s, our spacing between letters and words, and even the pressure we apply with the pen tells us something about who we are or what we may be experiencing in that moment. There are expressions and impressions that can be read from the way we carve each word. Were we thoughtful, happy, sad, tense, or enthusiastic? Readers connect with the honesty and vulnerability of handwritten memories. 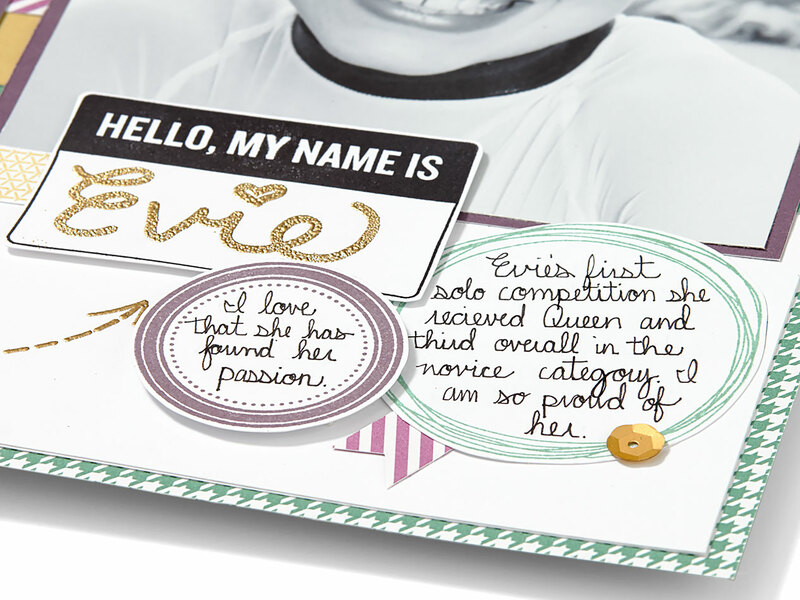 As we preserve our memories in our scrapbooks, handwriting is also part of the story. Even if it feels imperfect, it is an extension of ourselves that is important to include in the stories we preserve and share with others. Writing by hand tends to slow us down, forcing thoughtful and intentional words. 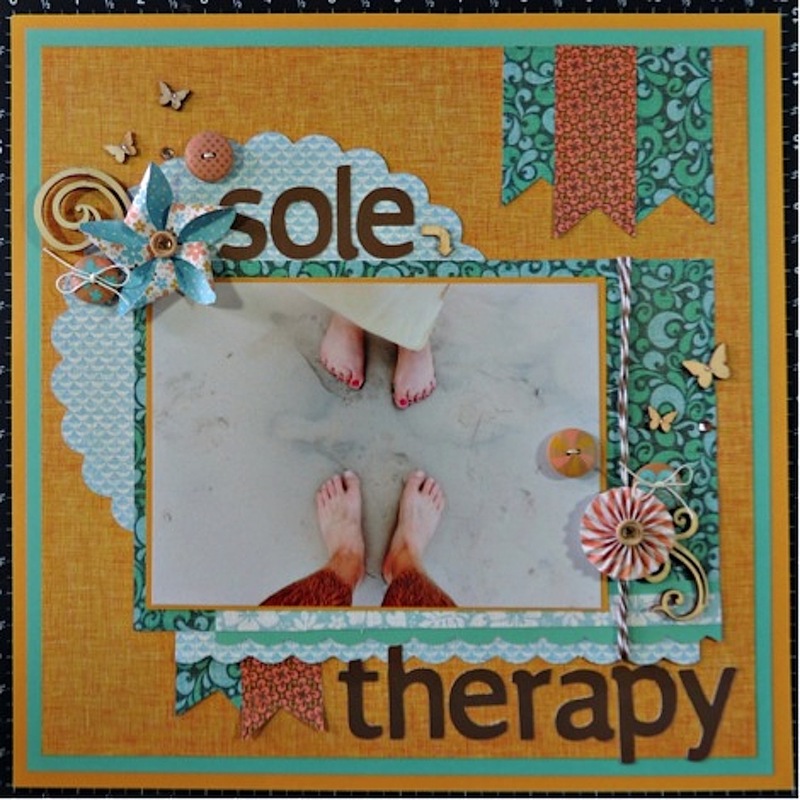 Editing occurs less as we write, often making it a better reflection of our genuine self. Physically writing out a page of words takes more time and energy but it also engages our creativity. Handwritten journaling can show that we put more thought and effort into something that could easily be typed in less time, leaving a lasting impression on the reader. By writing our stories in our scrapbooks, we’re assigning greater meaning to our memories—moments that might otherwise get lost. 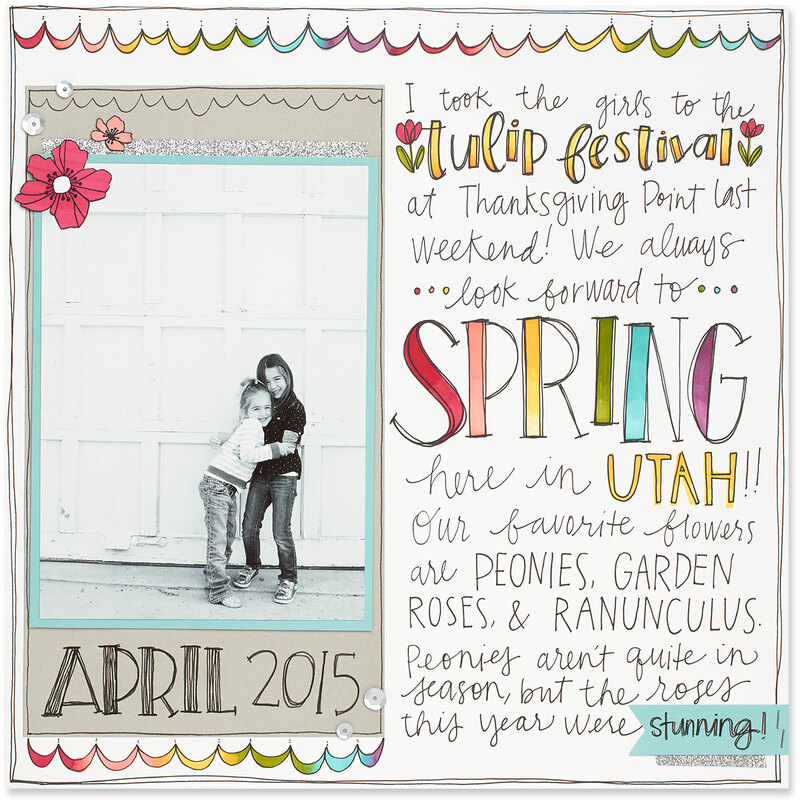 Handwritten memories become keepsakes. Consider old letters exchanged between your grandparents and compare them to text messages we send today. Which is a keepsake truly worth saving? 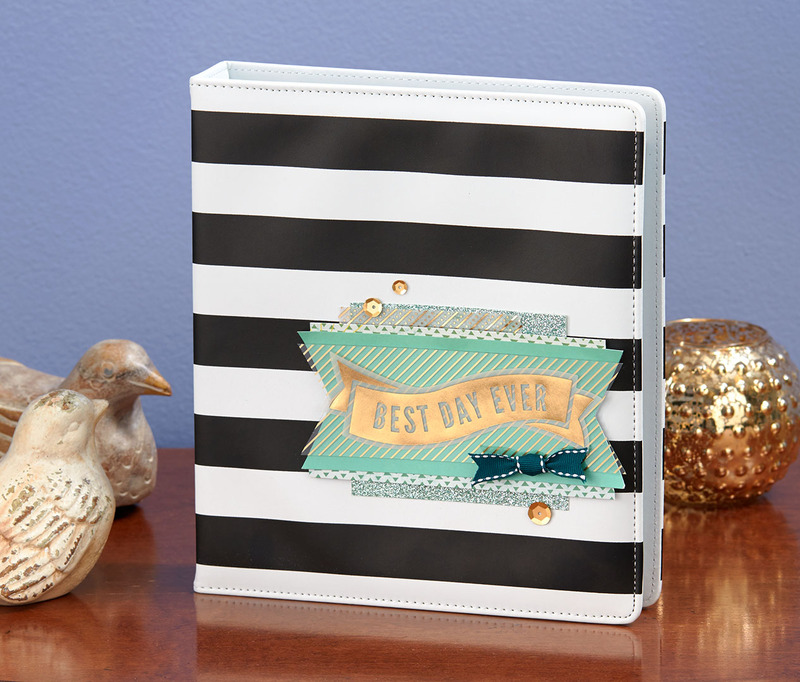 The same goes with writing in cards, letters, journals, and scrapbook pages. The stories and memories saved in handwriting are more likely to get passed down from generation to generation and held tightly and close by those who admire and love us. Texting, emails, and social media are all signs of the times. It could be fun to screenshot a text conversation and scrapbook it. It is part of our lives after all, but typed words don’t evoke our personality the same way that handwriting does. 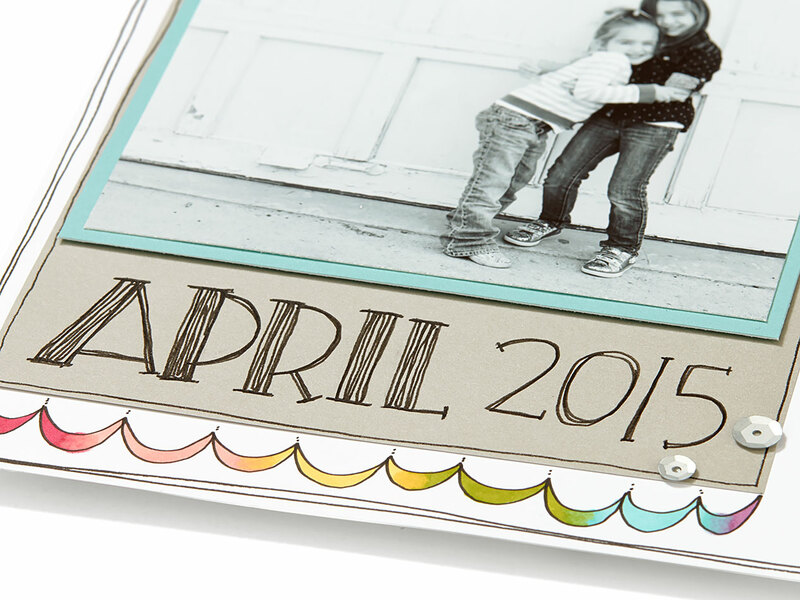 Including it in our scrapbooks enhances the story and the value of the keepsakes we create. Perfectly imperfect, writing by hand is an investment we make to share a piece of ourselves in the stories we tell for others. 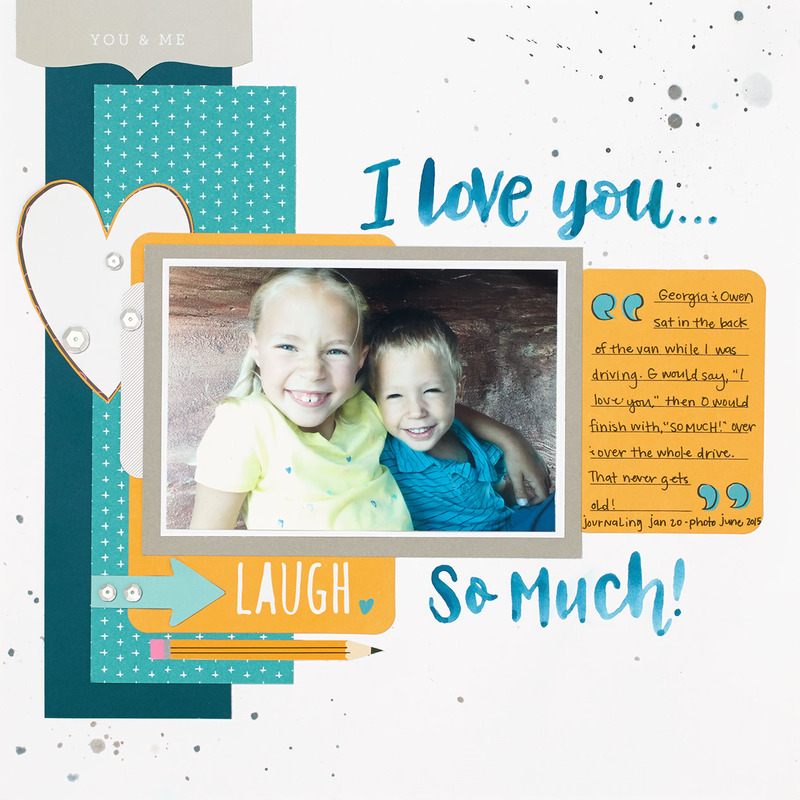 Whether you love your handwriting or can barely stand it, we encourage you to share this piece of yourself in your memory keeping—everyone who looks through your scrapbooks will be glad you did. 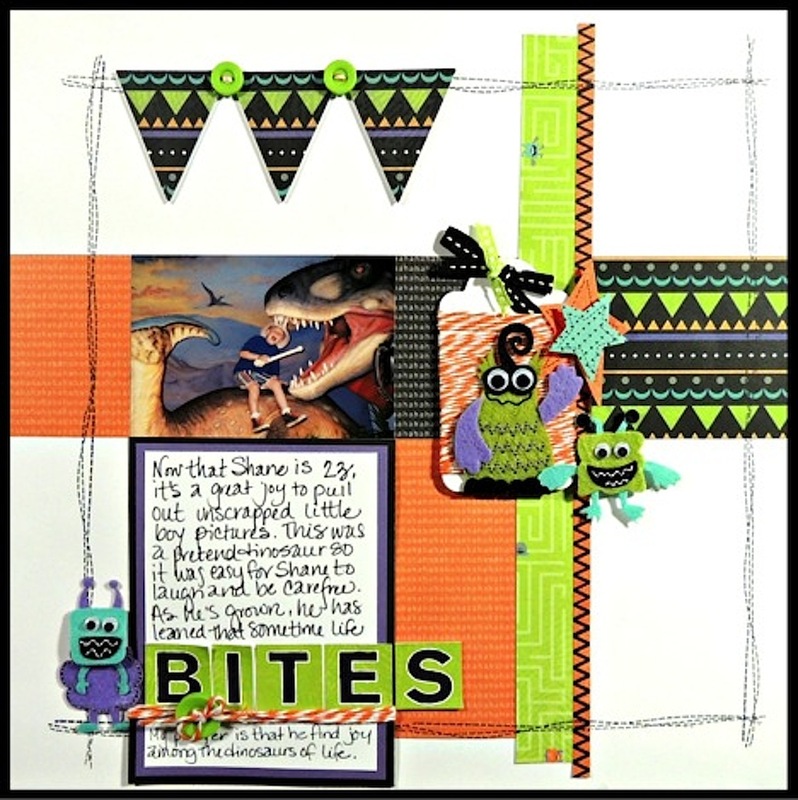 Memory keeping is the driving force behind every scrapbook layout that we put together to show you. A key component to all of these pages is the written story that goes along with the beautiful artwork. It is all too easy to simply not include any or not enough journaling, but your complete story matters! When you’ve got pictures that don’t completely tell a story—which, let’s be honest, that’s most all of the time—it’s so valuable to take the time to write about everything that happened in the background leading up to the moment captured on camera. 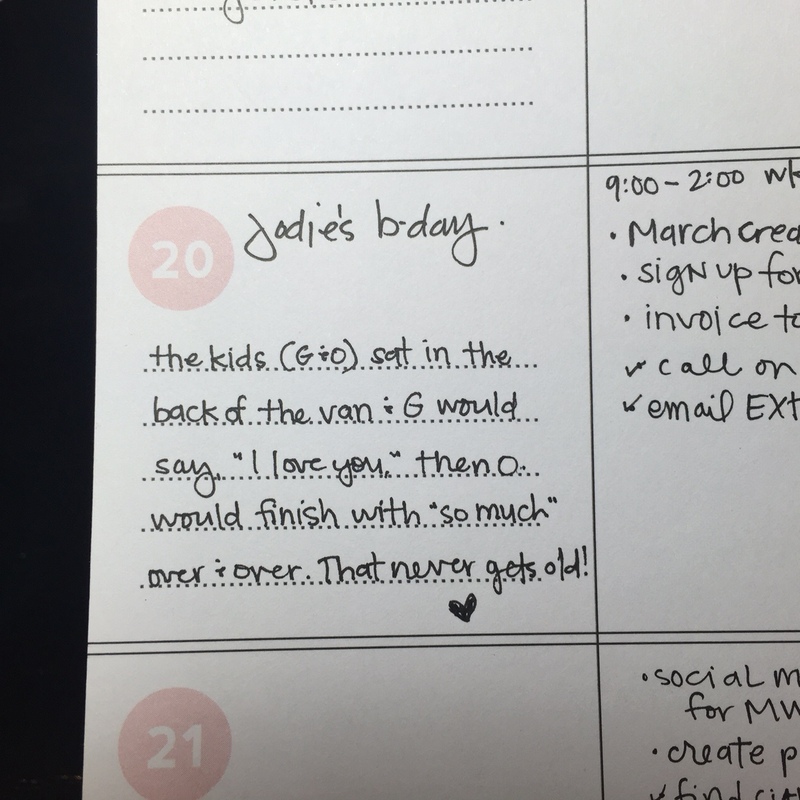 Today, we are celebrating birthdays with a few fun examples of how to incorporate a lot of journaling without bogging down your pages. 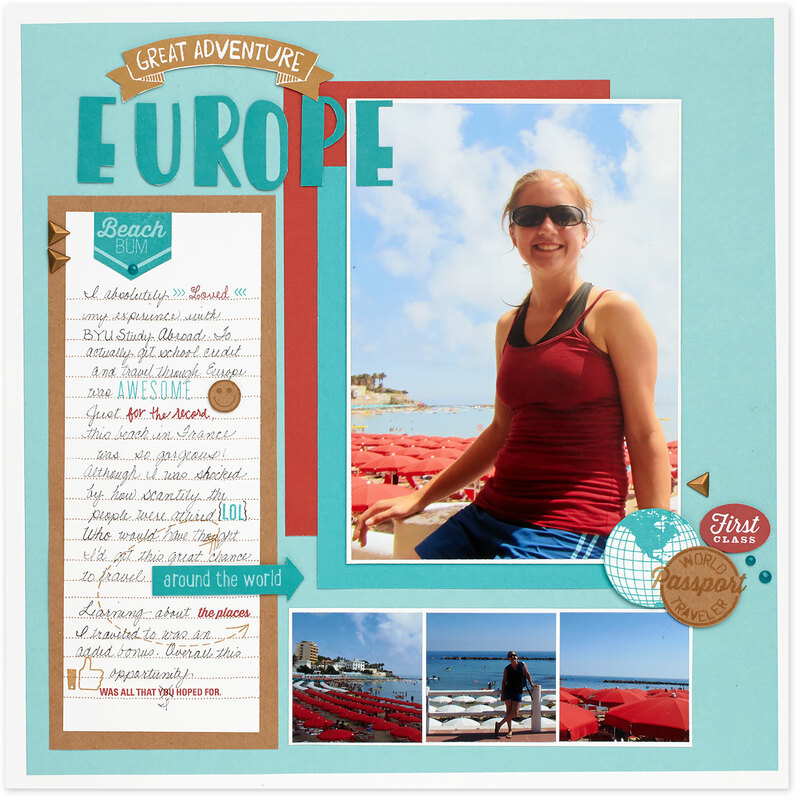 A few ideas from this layout: don’t be afraid to add journaling right next to your title! This can be a quick explanation of what the pictures are really about. 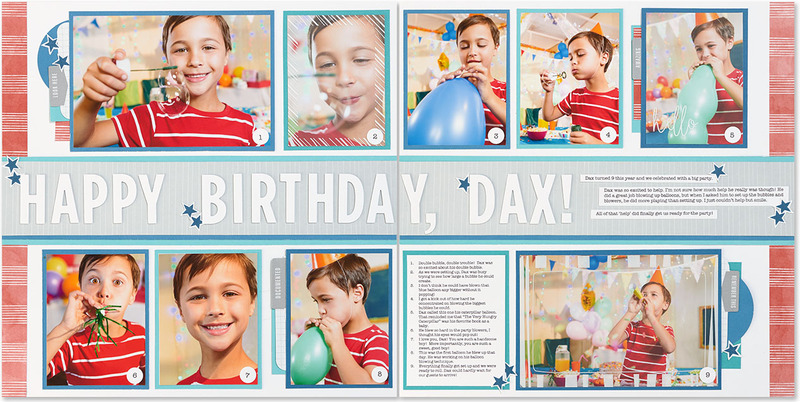 In our example, this little boy was supposed to be setting up for his birthday party but insisted on making sure that the bubbles and blowers were all in working order. Adding either a numbered or bulleted list is another quick and simple way to make sure you get all of the details in of what you want to remember without writing an entire essay. 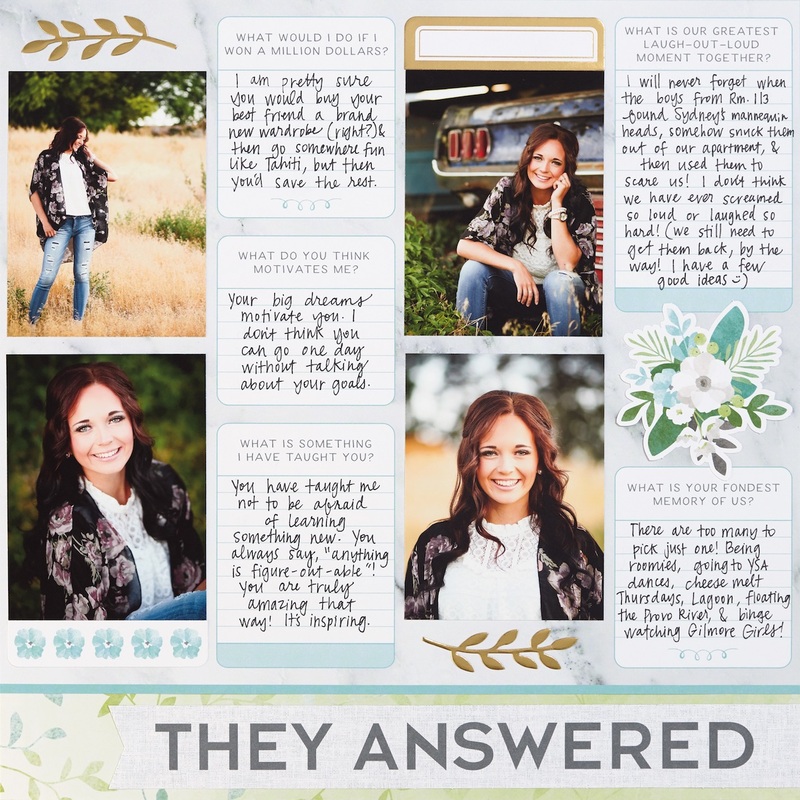 In this layout, we used a numbered list that coordinates with each numbered photo. 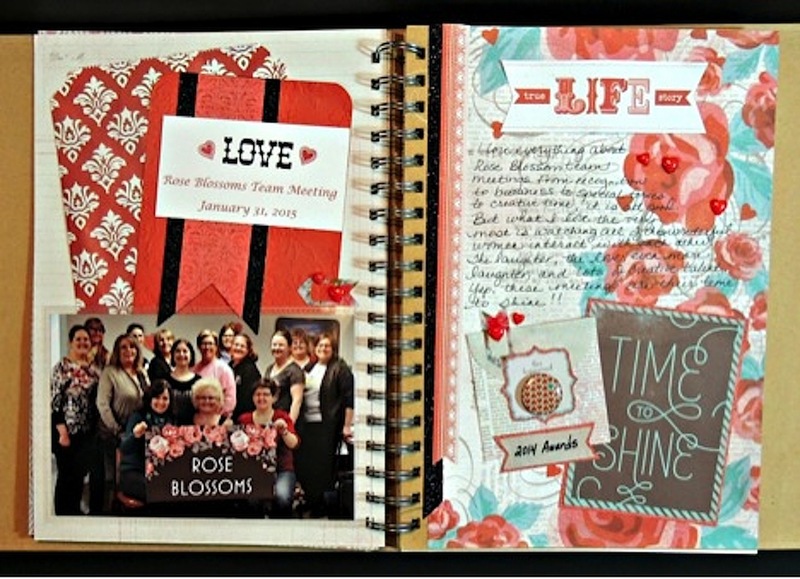 This really cute layout, like the page below, has more journaling than meets the eye! 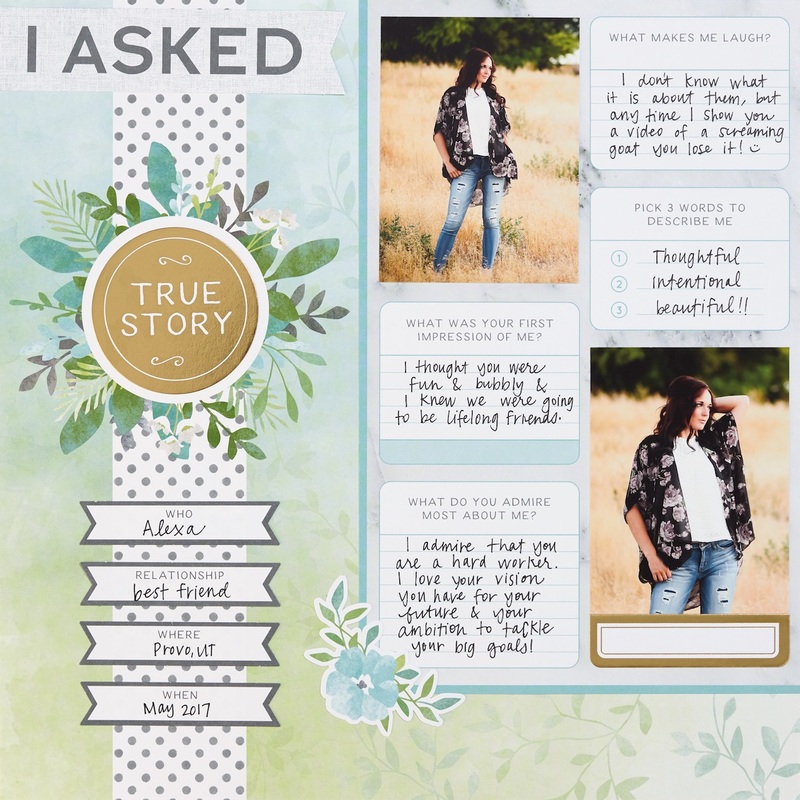 When you have more to say than what you want to see or display, add it on some tabbed journaling cards and tuck them behind one of the pieces of the page. 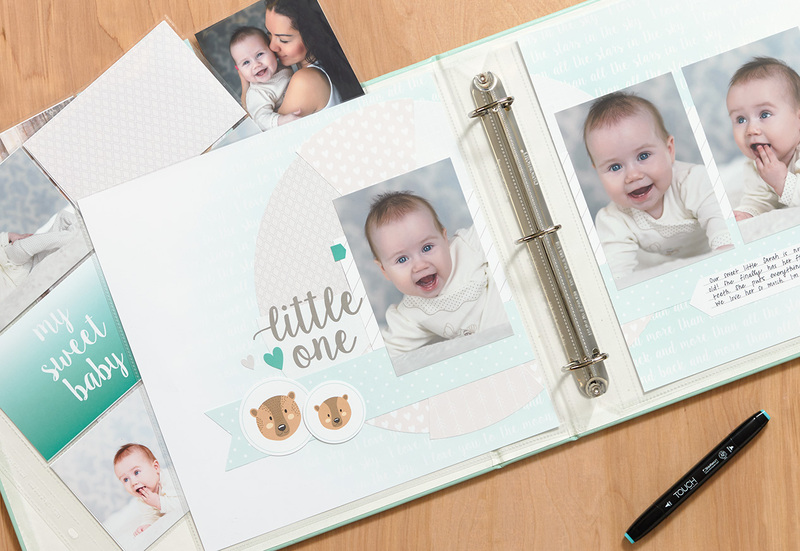 A single page like this makes a great addition to an album or layout, giving you extra space for displaying even more photos (which we always have!) and for adding even more journaling—stories must be told! 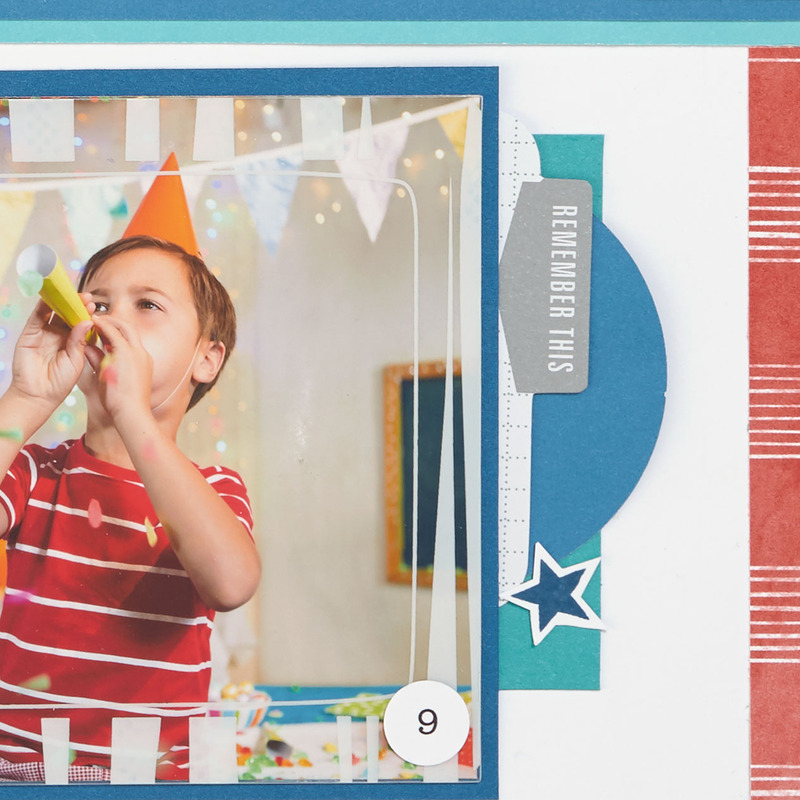 All of today’s scrapbook pages were created using our Fundamental paper packets, which feature universal patterns and color schemes good for all occasions! 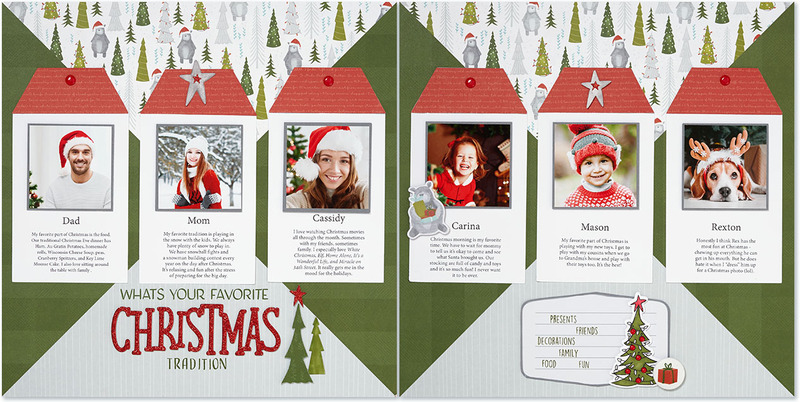 In case you haven’t heard, all Fundamental paper packets, Complements, and ribbons are on sale this month at 30% off! Plus—that’s not all—you have the option of purchasing an entire suite in a bundle to save even more! Check out these beautiful collections by clicking on the links below! 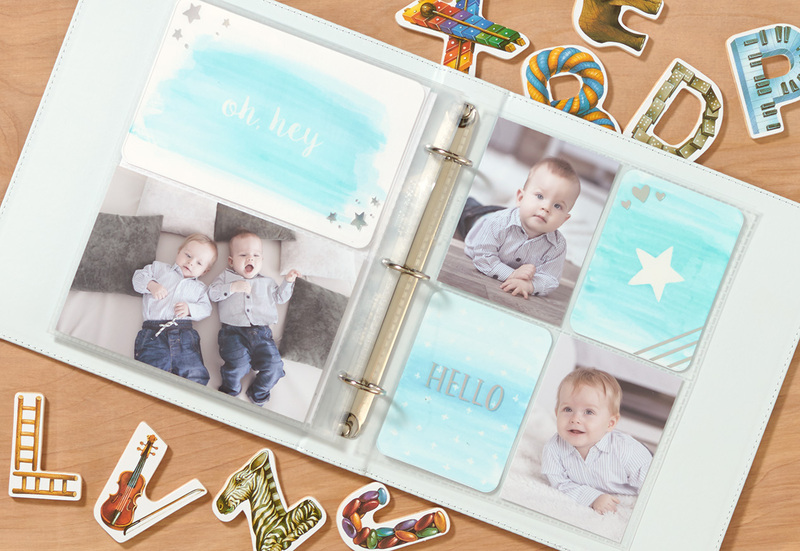 In a day and age that makes taking and printing photos so easy, you would think that more and more parents would preserve these photos in books and scrapbooks. However, it seems that most photos nowadays don’t leave our computers or social media accounts—and at times, even our cameras! 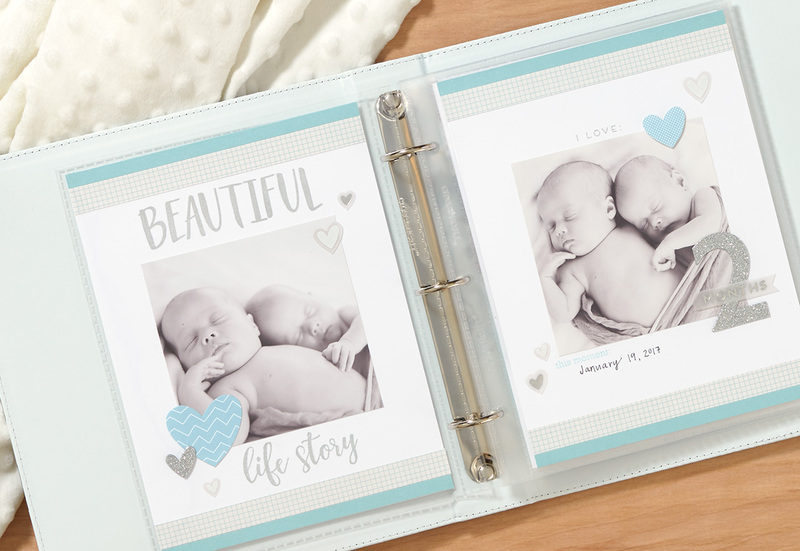 The art of printing our family photos, writing down our stories, and placing them all together in the safe arms of an album seems to be a dying art—and it’s something that our kids are going to miss someday. When they want to see what they were like as babies and toddlers, the years they will remember very least, they will have nowhere to turn. 1. They will know where to find photos of their childhood. You may know where your favorite pictures of your babies are on your computer or on Facebook, but in 10 years will your kids know where to look? Not so much, unless they can grab their baby album off of the bookshelf. 2. A baby book is tangible evidence of your love. 3. 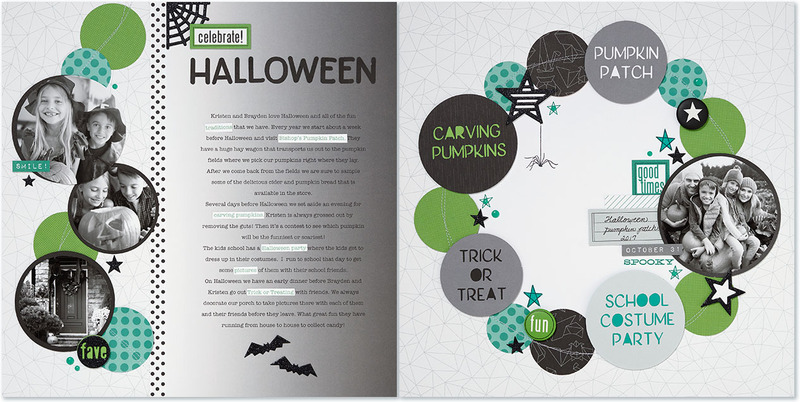 Your toddlers will love to look through their baby books. Though you may think your kids won’t value their baby books until they are older, chances are they will actually love them as toddlers. Toddlers love to see pictures of themselves as babies; it’s part of a phase where they begin to discover their own identity. Also, baby books make some of the best bedtime stories! 4. They will love to look at their baby pictures when they have their own kids someday. When your kids start to have kids of their own, it will be so much fun for them to look through their baby books and see how their traits and mannerisms were passed down to their own kids. 5. They will want to look through their siblings’ baby books. Nothing bonds siblings together quite like looking through each other’s baby books. They will laugh at silly pictures of each other. And even though they may not have memories of their siblings because of age differences, they will get to see those memories through your eyes. 6. They will love to show relatives who come to visit their baby books. 7. Life goes by lightning fast, and baby books make it easy to stroll down memory lane anytime they want. 8. You will forget the stories, even if you preserve the photos. Though you may save all your photos in one way or another, the stories that go along with those photos will be lost unless you document them in a book. And moments from those sweet baby years are moments both you and your children will want to remember forever, even the small ones. 9. They will love to see your perspective. You may think baby books are all about your babies, but they’re also a time capsule of you as a mom. As your babies grow into parents themselves, they will love to look back on your perspective as a new mother. Even seeing your handwriting will bring back good memories. 10. They will cherish their baby books more and more with time. A baby book is something that increases in value with age. Just imagine how much that book will mean to your kids when they have grandkids and great grandkids! It’ll be a family treasure! 11. They will turn to their baby books in difficult times.